David Weyrich has paid the first part of his massive tax debt, so why are people still uneasy? 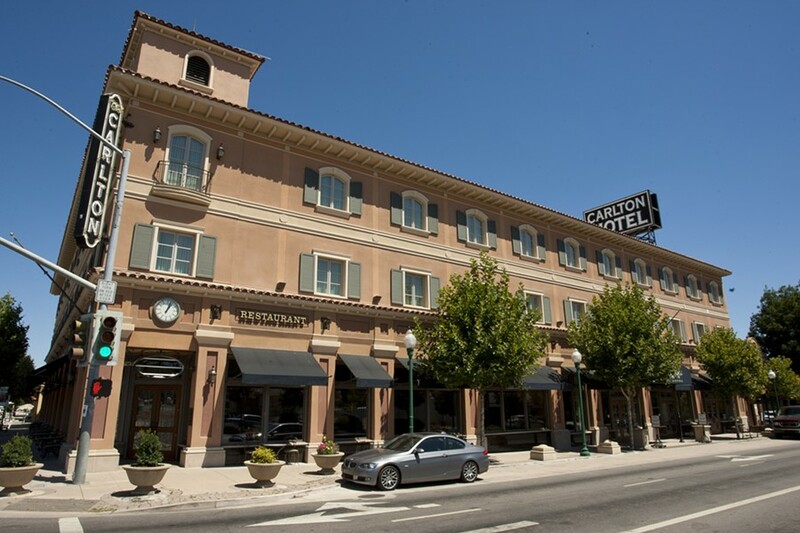 After five years of delinquency, David Weyrich—owner of the historic Carlton Hotel in Atascadero—paid the first installment toward an enormous property tax debt, only a month before the property would have gone to public auction on June 30. According to Lori Guidotti, redemption and payment processing manager at the SLO County Tax Collector’s Office, Weyrich sent a cashier’s check totaling roughly $180,000—20 percent of his SLO Country property tax debt as of May—to the tax collector’s office on May 31. Though Weyrich has come through on paying at least part of his near-million-dollar tax debt, Atascadero officials and business owners remain skeptical and wary of his intentions. “He’s trying to paint the picture like he’s a good guy, and it’s actually quite the opposite,” said Jack Dorris, owner of Colby Jack Café. Colby Jack’s occupied the lobby space of The Carlton from November 2011 until it closed in mid-May of this year. Jack and his wife, Natalie, are co-owners of the now kitchen-less restaurant. They contend that a year and a half of Weyrich’s lackluster management was toxic for their business, and that Weyrich refused to renegotiate their lease, prompting their departure. Jack and Natalie said that failure, neglect, and hubris were all rampant in Weyrich’s managerial style. The Dorrises claim that almost every piece of equipment in the kitchen they inherited malfunctioned in some way, that Weyrich was largely absent from the property and largely deaf to their complaints, and that his refusal to secure the property led to frequent thefts. “On a regular basis, the employee lockers were ransacked if they weren’t locked,” Natalie said. “Jack had a brand-new laptop stolen out of our office three months ago. The thief was able to access the office through David’s office, which was not secured, and he refused to address it, despite our warnings. “Weyrich is nice when it suits him and he’s getting what he wants,” Jack said. “As soon as you’re not listening to his wonderful business knowledge, though, he turns on you and becomes the Weyrich that we all know. HEARTBREAK HOTEL : It was a close call, but it seems the Carlton Hotel won’t be going to auction after owner David Weyrich made the first payment toward his enormous tax debt. Weyrich declined to give New Times his side of the story, but his chief deputy at the hotel, General Manager Deana Alexander, was defiant toward critics of her boss and The Carlton. “We’re not closing, we are doing fabulously well, and this is our best year yet,” she said. Alexander said that Weyrich would “abide by and stick to” the property tax payment plan, and that she was “not worried at all” about the future of the hotel. City officials shared Alexander’s desire for financial success at the hotel, but were significantly warier of Weyrich and his financial woes. Colamarino said Weyrich’s “great mistake” was assuming he could run a hotel like The Carlton without the necessary experience or background in the industry. He says he doesn’t wish failure on Weyrich or The Carlton, but thinks the hotel could benefit from more positive, professional management. Jack and Natalie said the management practices they were subject to for the last year and a half should serve as a cautionary tale for any potential suitors for the vacant restaurant spot. Jack said that, ultimately, the price of occupying the lobby spot wasn’t sustainable for the amount of business the restaurant pulled in. He also said that any potential for growth was blocked by the troubling and investor-deterring specter of Weyrich’s tax problems—which the Dorrises were first warned of late last year. According to county tax records, Carlton Hotel Investments, LLC owed just more than $900,000 in property taxes dating back to fiscal year 2007-08—before Weyrich made his first installment payment on May 31. According to Guidotti, Weyrich will have to pay roughly $180,000 every year for the next four years before April 10 of each year (along with interest and the current year’s tax), or risk defaulting and thus triggering the power of sale process, designed to recoup unpaid taxes. Such an action would put The Carlton up for public auction a minimum of nine months and a maximum of four years after it was first triggered. “It’s fairly strict, and there’s no negotiation,” Guidotti said. For the future, a major missing piece of Weyrich’s financial puzzle is the status of one of his loans. In 2010, Weyrich defaulted on an approximately $23 million loan with Lafayette-based real estate investment firm R.E. Loans. In August 2011, he told New Times he had reached a forbearance agreement to postpone foreclosure. However, in September 2011, R.E. Loans filed for Chapter 11 bankruptcy, and the case is still proceeding through U.S. Bankruptcy Court. Neither Weyrich nor the trustee for the bankruptcy case returned a request for comment on the status of his loan, therefore the specifics of Weyrich’s finances—and the true extent of his debt—remain frustratingly nebulous. Staff Writer Rhys Heyden is an American aquarium drinker and can be reached at rheyden@newtimesslo.com.